Gently cleanses and clarifies skin. Formulated with Chamomile to help cool and soothe the skin. Skin looks and feels clean without any dryness. Helps to remove the remaining traces of cleanser. Contains Chamomile for it's smoothing and cooling properties. Skin looks and feels refreshed and soft. Skin appears more even and radiant and feels more supple and smooth. Contains a brightening complex of botanical origin, as well as an ingredient derived from bearberry extract which helps to reduce the appearance of dark marks and helps to prevent more from forming. Light-textured cream to help even out skin tone and create a radiant complexion. Contains a brightening complex of botanical origin. 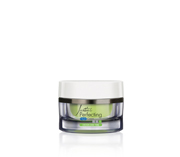 Helps to strengthen skin and helps to prevent further UV damage.